Assistant High commissioner for UNHCR, Volker Türk, in Nduta camp in Tanzania. Refugees should never be pressured to decide if they should return to their home countries, a senior UN official has said. Volker Türk, Assistant High Commissioner for Protection with the UN refugee agency, UNHCR, on Thursday completed a four-day visit to Tanzania, which is hosting more than 340,000 refugees and asylum-seekers. “Refugees need to have a meaningful choice about whether they wish to return based on the facts and realities on the ground. There should not be any direct or indirect pressure exercised on refugees to choose whether to return,” he said, according to a press release, which stated that the Government of Tanzania has assured the agency that the decision to return would be up to refugees themselves. Mr. Türk met with the Tanzanian authorities and partners to discuss protection challenges and solutions for the refugees and asylum seekers who have found shelter in the country having fled conflict and persecution in their homelands. The majority are from Burundi and the Democratic Republic of the Congo, with nearly 90 per cent living in three camps in the Kigoma region, located in the west. The UN official also visited the Nduta Refugee Camp where he met with residents. He also witnessed the voluntary return process for Burundian refugees. So far, more than 42,000 Burundians have returned home, according to UNHCR. Mr. Türk also held a meeting with UNHCR representatives who are working in countries hosting Burundi refugees, who total around 400,000. 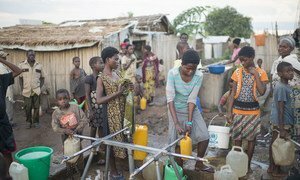 UNHCR said the Burundi situation is one of the world’s most underfunded humanitarian crises, with a $391 million appeal only 12 per cent funded. Mr. Türk called on the international community to address what he called “this forgotten situation”. 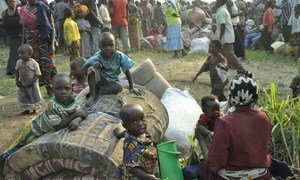 Surging violence in eastern Democratic Republic of the Congo (DRC) is driving thousands of Congolese into neighbouring Burundi, Tanzania and Uganda, the United Nations refugee agency said Tuesday.